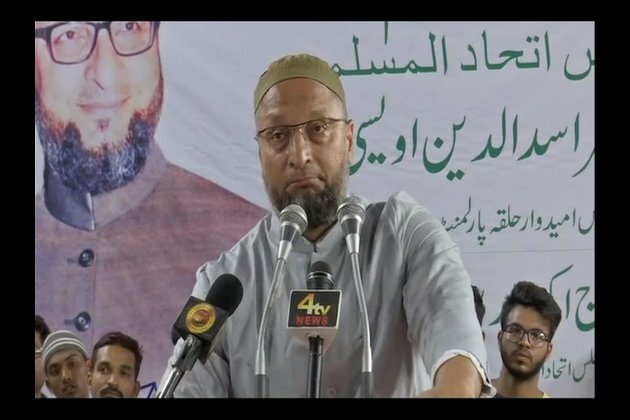 "I request everyone to cast vote for AIMIM and increase the voting percentage," he said taking a dig at the Prime Minister's campaign of "VoteKar". "Two days ago, I said that in Pulwama a suicide bomber attacked our forces, will PM Modi take responsibility? I said was he sleeping after eating Beef Biriyani. In social media, Modi followers are saying that Modi doesn't eat non-veg. I don't know if he eats veg or non-veg. I will say now was he slept after eating Dokla, Idly or vegetable Biriyani," he added. He alleged that the Prime Minister gave away Rs 1500 crore to Former Jet Airways chairman Naresh Goyal to save his airlines. "You can't give 1500 crores just like that because it is public money. Now, I am saying is this your "baap ki jagir", what will you do," he said.